In ancient times the natural remedies and in particular the medicinal herbs, represented the only tool to cure and cure the ailments of man. With the advent of the drug, the use and consideration of medicinal herbs, has gradually diminished, until it disappears almost completely. Most people and the same medical class, consider natural preparations, such as decoctions and herbal infusions, of the mild remedies, useful to improve sleep and digestion. In reality, their effectiveness depends very much on their use and on the quality of the raw material . 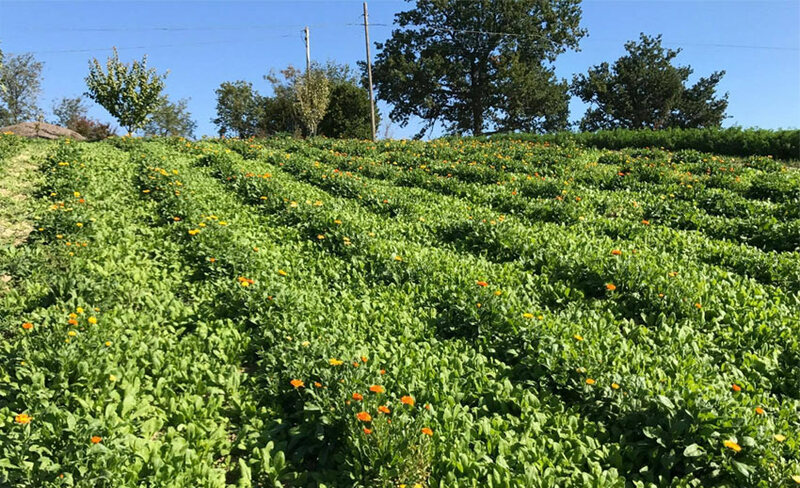 Medicinal herbs, if grown, harvested, dried and taken in the right way, can be extremely effective to treat a myriad of diseases, sometimes very serious. But the first thing you need to understand and put in your mind is that herbs do not work like allopathic drugs . The drugs contain active ingredients in concentrated and isolated form , extracted from animal or plant life (for example aspirin contains acetylsalicylic acid, active ingredient extracted from the white willow bark), or produced directly in the laboratory and therefore totally synthetic. The drug generally acts very quickly on the symptom, bringing rapid relief (think of the same aspirin, or cortisone). However they do not cure the cause that generated the symptom and over time they can lose effectiveness. In addition, all drugs have contraindications and if taken for a prolonged time may cause side effects sometimes very serious, especially to the liver. Herbs, however, in their natural form, even if in lower concentration, contain a whole series of active ingredients that work in synergy, compensating, reinforcing and moderating what could present aggressive if used in isolation. For this reason the plants, taken in the form of herbal tea, are not aggressive and present almost zero risks compared to drugs, except in cases of established allergy. At the same time, thanks to the synergy of active ingredients, medicinal plants act slowly, but more effectively and deeper than the drug . The teas can be prepared with a single herb, or with a combination of them . There are different types of herbal teas depending on the extraction method used to extract the active ingredients of the plant. Generally it is used for all drugs (a term that indicates the part of the plant with a phytotherapeutic activity) rich in volatile aromatic components and active ingredients that degrade due to the action of water and heat. Generally these are delicate parts of the plant such as flowers, buds and leaves. This type of preparation is obtained by pouring boiling water on the shredded drug and letting it rest for 5-10 minutes, then filter. It is a preparation used to extract the active ingredients from the hardest parts of a plant: roots, seeds, bark or wood. The decoction is obtained by throwing the chopped drug in boiling water and continuing the boiling for about 5 - 15 minutes; it is then filtered and consumed. The maceration is obtained by letting the mixture or the drug rest in cold in a solvent suitable for the purpose (usually water, wine or other) for a time that varies according to the active principle that needs to be extracted. Make sure that the product you are using has been grown naturally, without the use of chemicals and possibly in an uncontaminated place (eg near landfills, highways, or industrial centers). The quality also depends on the harvesting period, which must respect the balsamic time of the plant and the type of drying, which should be done in the shade in ventilated areas and without using ovens, or radiators, which could damage or destroy most of the active ingredients of the plant. Unlike medications, herbal teas need time to act. Sometimes we talk about weeks, but for quite serious problems it can take months too. It is therefore important to be constant in taking the herbal tea, also by getting some patience. The teas contain low doses of active ingredients, so they must be taken in good quantity. As Maria Treben teaches us , a great herbalist of the '900 and author of the book "Health from the pharmacy of the Lord" (book that I strongly recommend you read! ), So that they take effect, the infusions should be taken with constancy and a minimum dosage of at least 2 cups a day, up to a maximum of 4 cups, equal to about 1 liter. Obviously the quantity to be taken can vary according to the type of grass used and according to the severity of the problem. Generally for more serious problems it is necessary to increase the dosages. The best way to take herbal teas is to prepare them at the moment and drink them warm or lukewarm . And if I'm almost never home? In the morning, before leaving for work, prepare a liter of herbal tea and when ready, pour it into a fairly large thermos . You can take the thermos with you and sip herbal tea at any time of the day. As I have already explained, medicinal herbs contain a set of active ingredients and substances called "phytocomplex". The type of substances contained in the plant make it more or less suitable for the treatment of certain diseases, even if there are plants, such as Aloe, whose action is broad spectrum and can effectively treat a very high number of diseases. THE BIANCOSPINO: A friendly plant of the Heart . Hawthorn flowers and leaves are used, which contain oligomeric procyanidins, quercetin, flavonoids and plant sterols. This set of substances make it a powerful natural cardioprotector. Hawthorn helps to regulate heart beats, reduces blood pressure, protects blood vessels. For this reason it is one of the most used herbal remedies to treat cardiovascular problems. The milk thistle is a relative of the artichoke and this plant is used mainly the seeds. These contain various active ingredients, but most of all silymarin stands out, a set of three substances (silibine, silidianin and silicristina) with marked hepatoprotective action. Silymarin accelerates the regeneration of liver cells and protects the liver from toxic substances. For this reason the milk thistle is used in the treatment of all diseases that affect the liver. Epilobium and in particular epilobium parviflorum, contains substances such as enotenin A, enotein B and dimeric-macrocyclic ellagitannin which have been shown to reduce proliferation of prostate cells and related inflammation. For this reason, the herbal tea of ​​epilobium is used mainly for the treatment of prostate disorders. Mallow flowers and leaves are used, which contain substances called "mucilage". These are polysaccharides that in contact with water form a sort of viscous gel with protective and anti-inflammatory action against the mucous membranes. Due to the presence of these substances, the mallow tea is very suitable for those suffering from diseases of the stomach (gastritis, ulcers, gastroesophageal reflux) and of the intestine (colitis, ulcerative colitis, diverticulitis and crohn's disease). 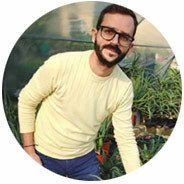 I have done just a few examples to make you understand that each plant has its therapeutic virtues and that it is important to be well informed before choosing one, rather than the other. Often they can also be used in combination, combining plants with similar action. Then there are plants that act on a wide spectrum on various parts of the body, or as in the case of Aloe, on the whole organism. 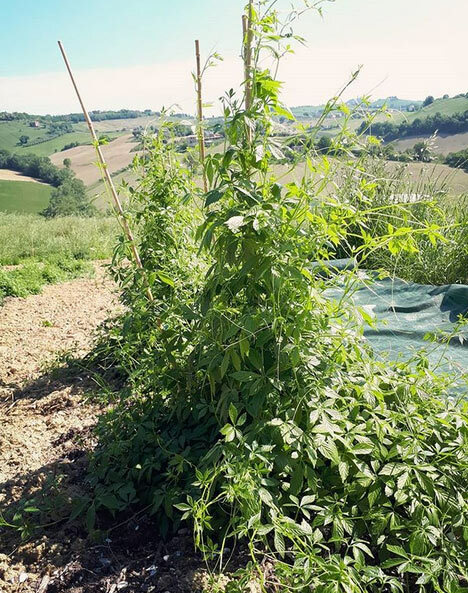 This is the case, for example, of the Gynostemma pentaphyllum (the climbing plant you see in the picture), a plant with adaptogenic properties of oriental tradition that our farm grows here in Fermo. The herbal tea, which is obtained by letting the Gynostemma leaves infuse, acts by reducing the inflammation levels of the whole organism, enhancing the activity of the immune system and regulating blood values ​​such as blood sugar, cholesterol and triglycerides. And how not to mention the Melissa officinalis , a plant that acts at the same time on the stomach, intestine and nervous system, improving digestion, relieving abdominal pain and reducing our anxieties and our nervousness. Or the Meliloto officinalis , which contains coumarins and is considered a natural blood thinner, very useful for improving blood circulation. At the same time it is also an excellent digestive and like Melissa, this plant also has relaxing properties on the nervous system. Of similar examples I could do many others, but I stop so as not to bore you. Officinal herbs of the Garden of the Lord. You can easily find them in the bookstore, or on Amazon.